If the weather is fine on Saturday 18th and Sunday 19th May 2019, a lot of RF aircraft can be spotted at Droneport, both in the air and on the field. 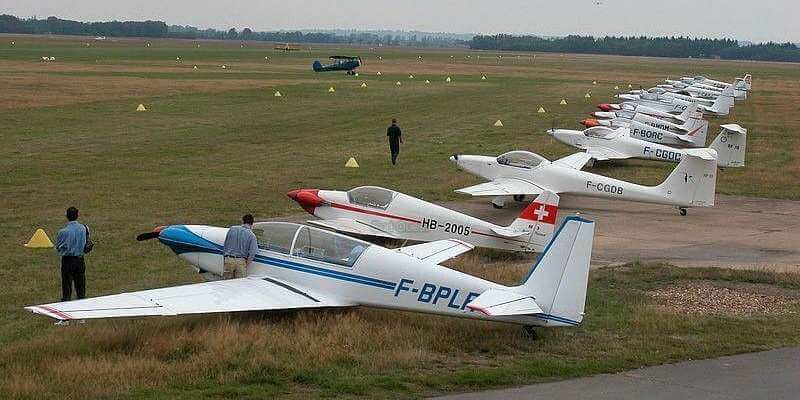 “Avions Fournier” or Fournier aircraft are better known as the abbreviation or with the logo “RF”, which of course stands for René Fournier. Since the early sixties, no less than twelve prototypes “RF” have been designed and built under the direction of René Fournier. The flight qualities with a fine flight control and the long lifespan of the aircraft is generally acknowledged. The RF devices are also among the quietest and most economical aircraft in the world. René Fournier is also the only French aircraft designer who can still register his aircraft with his own name “RF”. It is possible that some RF aircrafts already arrive on Friday as from 3:00 pm. Briefing & meteo for Europe. Departure of all aircrafts until 2:00 pm.